"It's the tribute act festival that brings you blistering sets from the best rock and indie bands in the universe, without their costly ticket prices. 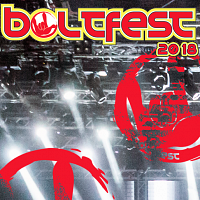 BOLTFEST is FREE all you pay is a booking fee (£3.50). Including some of the biggest tribute acts in Europe on two stages, over two days of crowd-surfing, chorus-chanting, festival fun. Plus bars, food stands, a market, a children's area, and thrill rides! And it's all family friendly."